ow our memory works is still a mystery. We know where memories are stored, we can literally point out parts of our brain responsible for that. But the answer to a question of how it actually works still eludes scientists. They know some, they assume some but they can't be really certain. It is possible that artists might help to find an answer. Memory is not a quantifiable value in human life. Simply because our memories are not a perfect reflection of truth. What and how we remember is not directly based on facts. We remember what is good for us. Memory is quite pragmatic, tricky, it might not be malicious or treacherous but it does everything possible to satisfy its host not necessarily reflecting the truth. It sends some elements into the deepest ends of the memory, others it twists so much that they are nothing like the original facts, some others are kept but completely misunderstood, and few, very few are kept in their original shape. The point is that we never get to decide which facts are to be kept in the best possible way and which are not. Knowing that please ask yourself what do you remember about Bullet Plugs. For many of you this name does not even ring a bell – it is perfectly normal. Those who are familiar with the name probably can't really remember anything more about it. 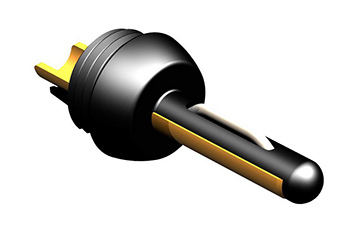 Most (among those familiar with the name) will remember that these are RCA plugs, used for analogue and digital interconnects, that use minimal quantity of metal, with signal and ground wires having only a single contact point each with a socket. Shortly after these plugs entered market many manufacturers realized that they improved the sound of cables featuring them so many of them started to use them. Even such big fishes as WBT were effected by Bullet Plugs – these changed their approach to connections. As result WBT designed new type of plugs and sockets – we know them as NextGen. Later other manufacturers followed, like Mundorf and Furutech, for example. Today massive, metal sockets are not synonymous with „high class” anymore, they just indicate an approach a manufacturer using them prefers. Bullet Plugs were designed by Keith Louis Eichmann, and Australian scientist and were released in 1999. Today it might seem that the idea itself was very simple. But as any other simple solution also this one is ingenious in its simplicity, even more so because nobody had done anything like that before. Some time later company Eichmann Technologies, that offered these plugs and finished cables disappeared for the market. The patent for the plugs was later utilized by ETI Research (test HERE), and today by another company KLE Innovations, a new enterprise by Keith Eichmann and Patricia Eichmann. 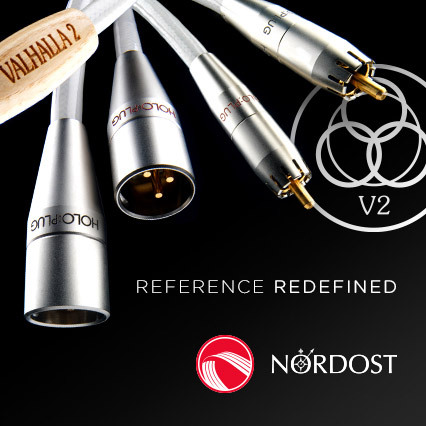 Let me remind you that, for example, Kuzma use these plugs for their tonearm cables. I like Keith Eichmann's (aka KL) idea from the very beginning. I tested plugs in both, copper and silver versions, and later also cables and anti-vibration elements always right after they were released. Credit for that goes to Rob Woodland, an Australian audio distributor, audiophile, music lover, and designer, who, at the time, propagated news about Mr Eichmann's invention all over the world. For years we've been exchanging emails and finally we managed to meet during one of the Munich High End Shows. Unfortunately I can't remember exactly which one. In 2005 just out of the blue Rob sold his company and seemed to disappear from the face of the world. Until this year that is when he sent me an email which brought all the above mentioned facts to my mind. This time Rob took on making of digital cable, a USB one to be exact and a one that, he claims, offers certain advantages over other products. And yet it is reasonably priced. 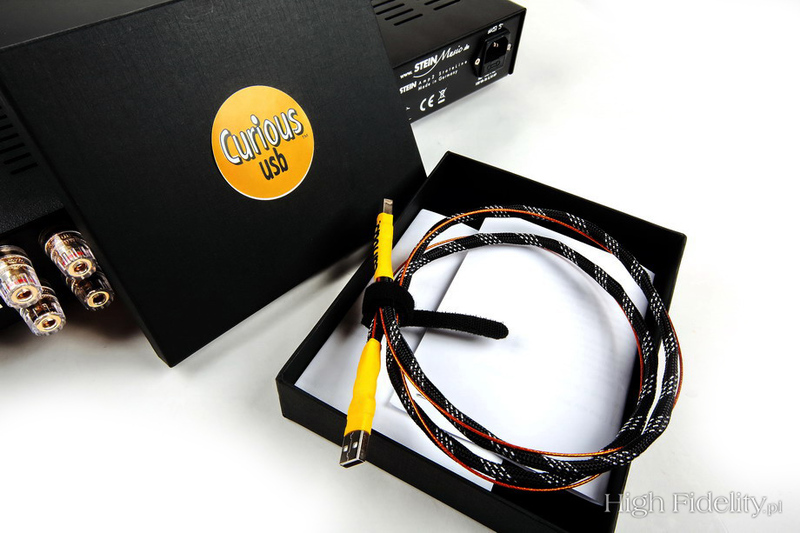 This cable made by Rob is branded Curious. WOJCIECH PACUŁA: Please tell us about your history. ROB WOODLAND: I was involved in electronics from a very early age. In primary school at the age of nine or ten, I looked after the school’s PA system. That set the scene for later life when I built loudspeakers and turntable bases during my university days. 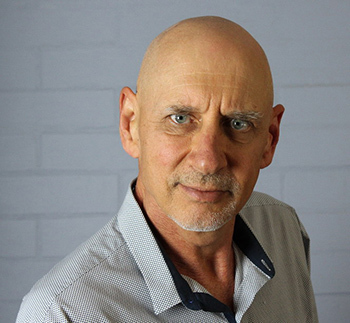 I was Queensland distributor for Mission loudspeakers in the seventies, spent a year setting up a Hi-Fi shop in Brisbane in 1982, and then moved into organizing Hi-Fi shows during the eighties. In the late nineties I met inventor Keith Eichmann, who had a unique design for an RCA plug. I licensed Keith’s technology and set about manufacturing and distributing the Bullet Plug and other Eichmann creations – cables and resonance control devices. I caught the inventing bug myself and designed the CablePod (binding post) and Bayonet Plug (banana plug) based on sound quality as the primary concern. I sold the business in 2005 and am now semi-retired, building loudspeakers and DACs – and enjoying life as a DIY audiophile and music lover. How did you start thinking about USB cable? A few years ago I moved to a computer-based music source. There is no doubt this is the future for music reproduction – but it took several years of fine tuning to get the performance I was looking for. I changed the power supply, footers under the server, PCI card and software, but still had a slightly flat and lifeless sound. It had to be better. That’s when I started to look at the USB cables. Many people will tell you that USB cables can’t make a difference, but I had a variety of wires on hand, so I started experimenting. And what do you know? Every wire combination I tested had a varying impact on sound quality. I also started to evaluate high-end USB cable designs. And while these cables delivered more detail than standard USB printer cables, they still sounded flat and two-dimensional. So began a 12 month quest to discover a USB cable design that would deliver a truly three dimensional, musical sound – like the real thing. I left no stone unturned. I tested different diameters of wire, different metallurgy, shielding, dielectrics, ground techniques, how to deal with the 5V power leg and so on. All the time listening. And after a while I built up a set of parameters for a USB cable that worked for the delivery of music, rather than just delivery of data. So – the enquiring mind came to the fore. Hence the name “Curious”. What is the biggest problem with USB transmission? The first problem is that we treat USB in relation to its role in computing – in delivery of data at high speed – rather than in its role in an audio system delivering music. I believe these require different thinking. 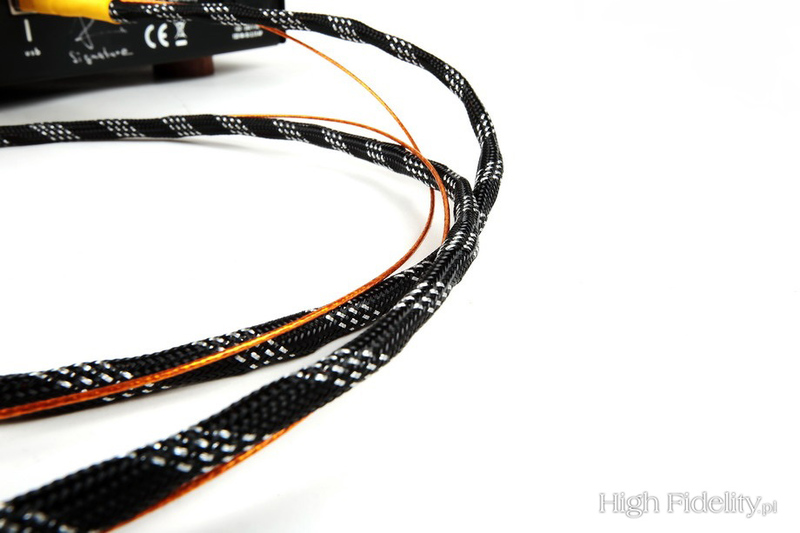 For example, one high-end cable I evaluated claims to be the fastest cable on the market. And yet, it doesn’t sound very good. It has plenty of detail – but the sound stage is two dimensional, with a lack of separation between instruments. So, “speed” of data delivery may not be essential for music reproduction. The other problem is what I call a “reactionary” problem. USB operates in a noisy environment within the computer server. Many cable designers react to this noise by going to extraordinary lengths to shield the data wires. However, USB carries the signal in differential mode that allows noise to be canceled at the receiving end – in a similar manner to “balanced” analog cables. In my experiments, shielding of data wires introduces more problems than it solves. In saying that, I do believe in shielding for the 5V power leg and the ground leg. 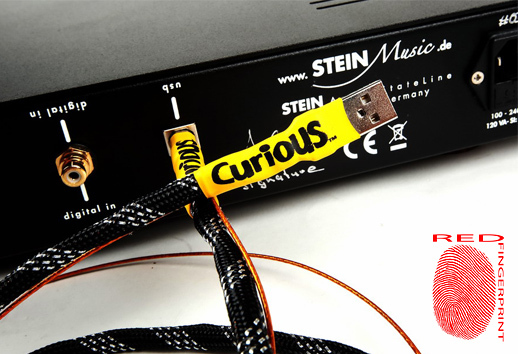 Why engineers deny importance of good USB cables – they all think that it is irrelevant. Engineers work on delivery of “data” via USB, and this includes speed of delivery. Packets of data should arrive in tact from one end of the cable to the other. And this is correct for most areas of computing. I have no argument here. However, delivery of “music” in the form of data packets appears to require a different protocol. It may be a result of jitter. It may be transmission of noise on the ground. It may be capacitive reactance resulting in differential mode noise. All these factors can mess with the sound. What I do know is that USB cables make an audible difference - so I’ve worked hard to develop a USB cable that delivers beautiful music. Do you think that hi-res file playing is mature already? Computer or dedicated player? We’re still in early days when it comes to HD music. Over coming years we’ll see improvements across the board as we learn how to use computers for music reproduction. Software will play an important role. Just look at “Fidelizer” and how it improves the performance of windows based servers. Meridian has their new MQA system for recording and playback. Technology is improving at a rapid rate. And while I use a computer server because I enjoy tweaking, I’m sure dedicated players will be the preferred source in the future. What are the most important problems now? I don’t see too many problems. I see plenty of solutions as the Industry matures. Different people are working on better sounding USB PCI cards, some are working on better power supplies – while I’m working on better sounding USB cables. Put it all together, and computer-based audio systems are improving all the time. Music sounds better than ever.